A recent study aimed at studying the anti-oxidant content of some of the popular breakfast cereals and whole grain snacks revealed that raisin bran cereals and popcorns contained a large number of polyphenols. Polyphenols are chemical substances that act as antioxidants and have been known to protect against health problems like cancer, heart problems and even prevent aging by removing free radicals from the body. The study which was conducted by Dr Joe Vinson at the University of Scranton in Pennsylvania adds a new dimension to the benefits of whole grains. Whole grains were always known to be beneficial due to its fiber content, but the discovery of polyphenols greatly increases its nutritional value. The researchers also pointed out that the polyphenol value increased with the addition of polyphenol-rich ingredients such as raisins and cocoa to the breakfast cereals. The study also concluded that among the whole-grain snacks, popcorn topped the list in having the highest amount of polyphenols. Though this gives us more reason to reach out for whole-grain cereals and snacks, a general word of caution since some of these products can be high in terms of sugar(e.g. : breakfast cereals), fat and salt content (e.g. : popcorns). The best thing to do is to check the labels. 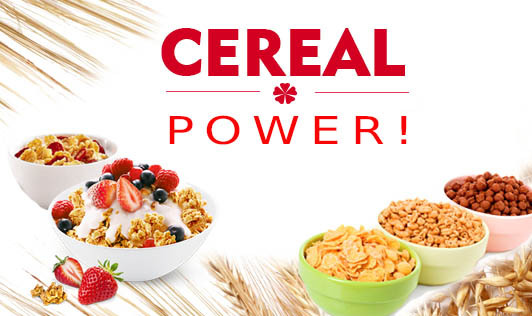 Buy cereals with less or no added sugars and sweeten your bowl of cereals with fresh fruits. As far as popcorns are concerned, buying the corn kernels and popping them at home with a little oil and a dash of salt would be a better idea than buying the readymade microwavable sachets.